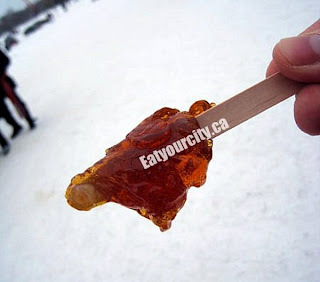 Eat Your City: Silver Skate Festival, Edmonton AB - krokets, Frikandel speciaal, campfire bannock, maple taffy, sleigh rides and winter sculptures! 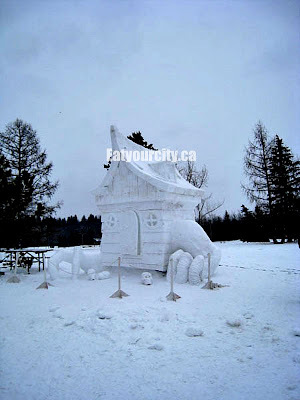 Silver Skate Festival, Edmonton AB - krokets, Frikandel speciaal, campfire bannock, maple taffy, sleigh rides and winter sculptures! Posted by A weekend (or was it two?) 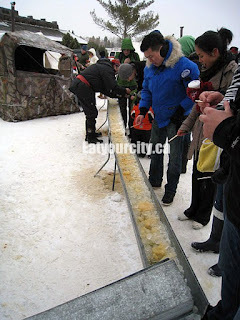 ago, Edmonton hosted its annual Silver Skate Festival celebrating winter sports, food, Dutch culture and speed skaters going at insane speeds on a frozen pond with knives strapped to their feet. Yup, they're nuts, but its awesome to watch and cheer them on! :D The pond is open up in the afternoon after the races for families and couples to slip, slide and do triple lutzes for those more coordinatedly inclined. We interspersed gawking at the various ice and snow sculptures, hopped on the horse drawn sleigh ride, and of course, ate lots of food! To do the festival justice of course! One of our favourite activities was campfire bannock. 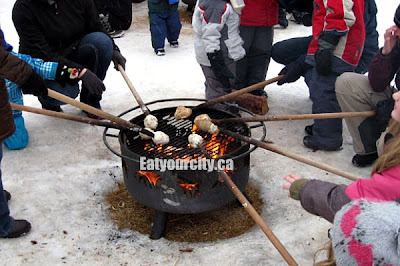 Roast it yourself (on the end of a broomstick I think) and load it up with lots of cinnamon and sugar - a fun treat for kids big and small! After we eventually made our way thru shin deep snow, we warmed up with a kroket on a bun. The bun held all the yumminess together. Mmmm! It doesn't look like much, but looks are deceiving! Warm mooshy potatos, cheese and meat - super soft ooey gooey savory inside, crisp deep fried outside. We sheepishly went back in line for a second one heehee! 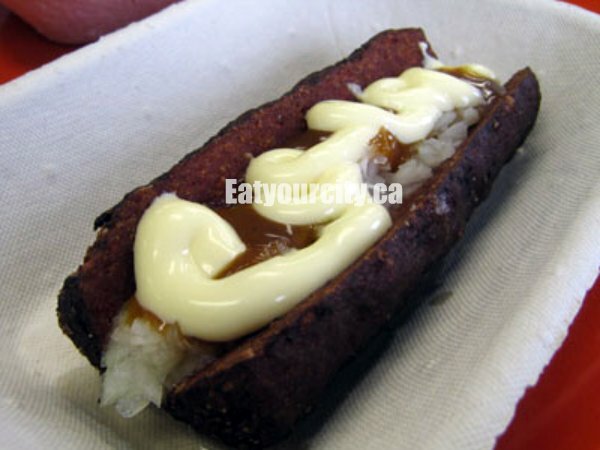 Next up was the Frikandel speciaal - a slightly dry dark minced meat sausage served with diced onions, creamy sweet mayo like sauce and a brown tangy sauce. Its a naked sausage.. lol.. its not served with a bun! 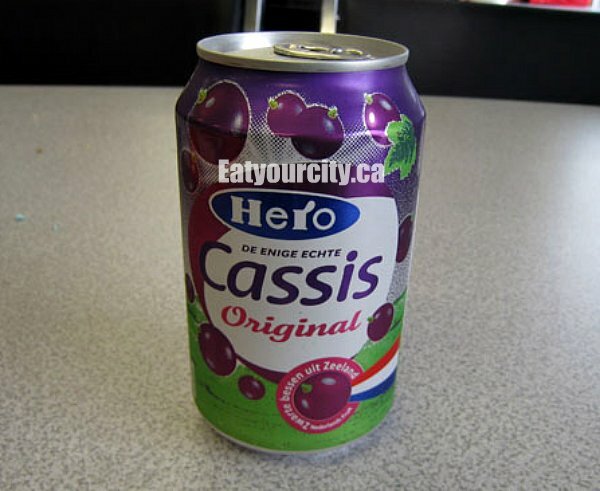 We washed it all down with some black currant flavored pop - not too curranty, but refreshing to wash down the salty savory foods. After a soothing and relaxing horse drawn sleigh ride, we brush the hay off our bums and hiked around oohing and ahhing at various snow sculptures dotting the park. Snowshoes and cross country skis were available for everyone (kids too!) for those that wanted a more authentic experience. Baba Yaga's house was my favourite - she was one creep-scary legend. Living inside a house made of bones, her house literally could walk away and relocate because of the chicken feet it had attached to it... and lured unsuspecting children in as the house would look cheerful and welcoming until you stepped into her clutches. 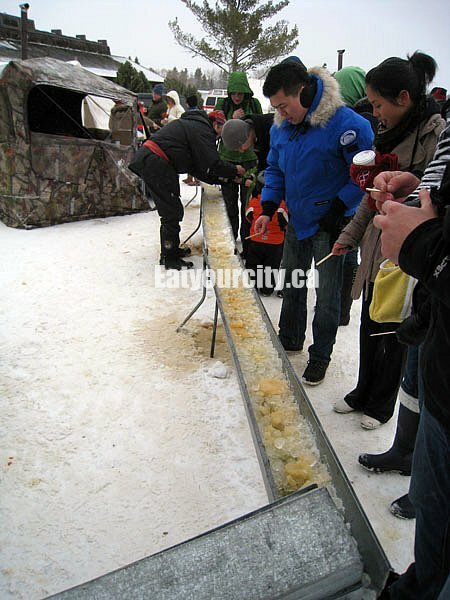 And what would a Canadian festival be without maple taffy making on ice with friendly French Canadians serving up the stick to your teeth candy in an ice trough? 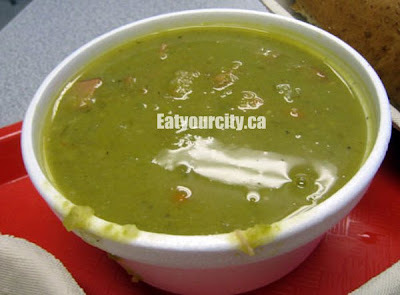 And finished off with a hot bowl of creamy split pea soup.. made not with ham, but bits of chopped up bratwurst sausage! Yum! So if you missed this awesome family friendly winter festival, you'll have to catch it next Feb long weekend! 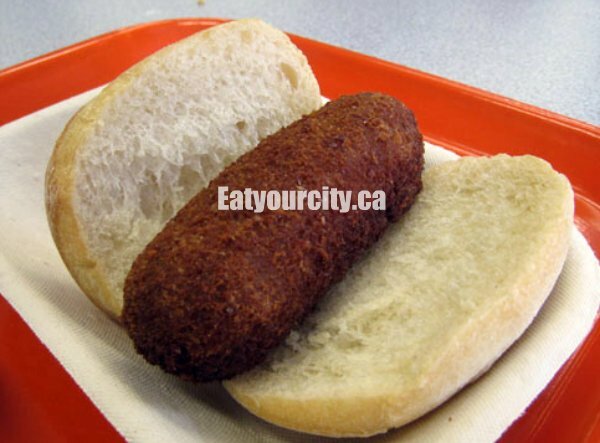 They also serve the same foods in the Dutch pavilion during the August long weekend... so Krokets, I'm seeing you at Heritage Days!